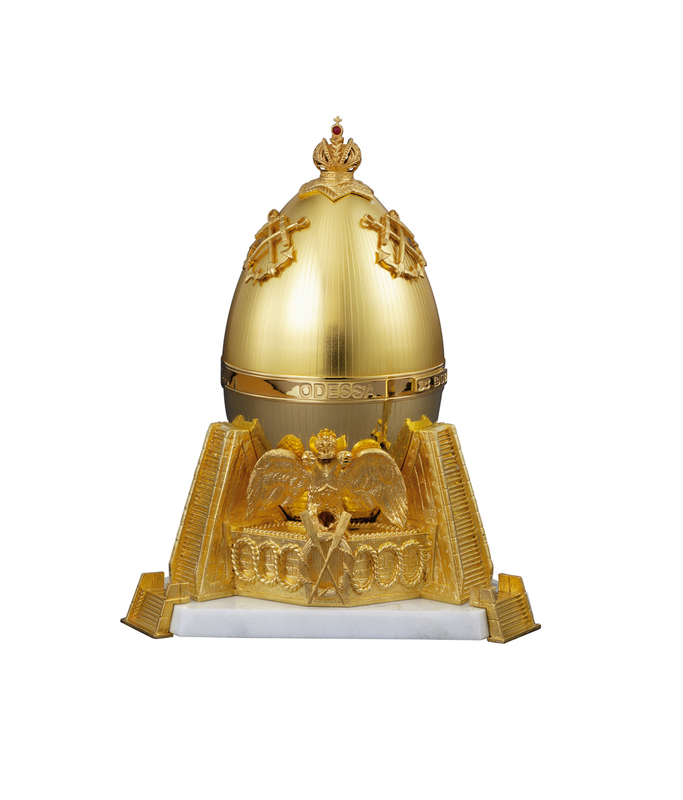 The Odessa Egg completes the series of four creations by Theo Fabergé inspired by the magnificent architecture of the four great cities of former Russia, Moscow, St. Petersburg, Kiev and Odessa, where Carl Fabergé had his shops and workshops. 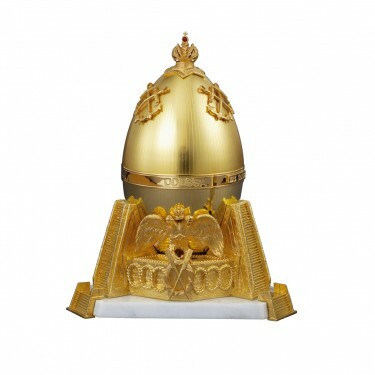 The Odessa Egg, portraying the Hero City as it was known in Russia, is stylised with an adaptation of the Potemkin Steps. 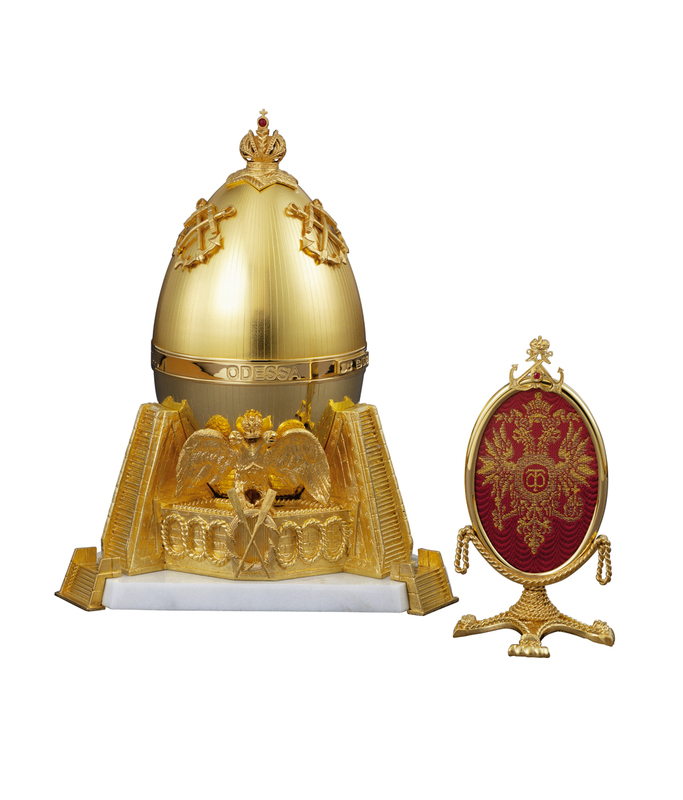 The Russian double headed eagle looks to both the continents of Europe and Asia. The sterling silver Egg, with 24 carat gold is surmounted with the Imperial Crown and detailed with crossed anchors. 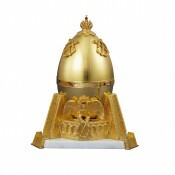 Within the Egg, a miniature vermeil screen enhanced with naval images. 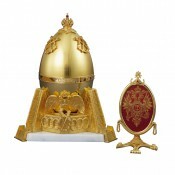 Within the screen, the hand woven silk brocade of the Russian double headed eagle.